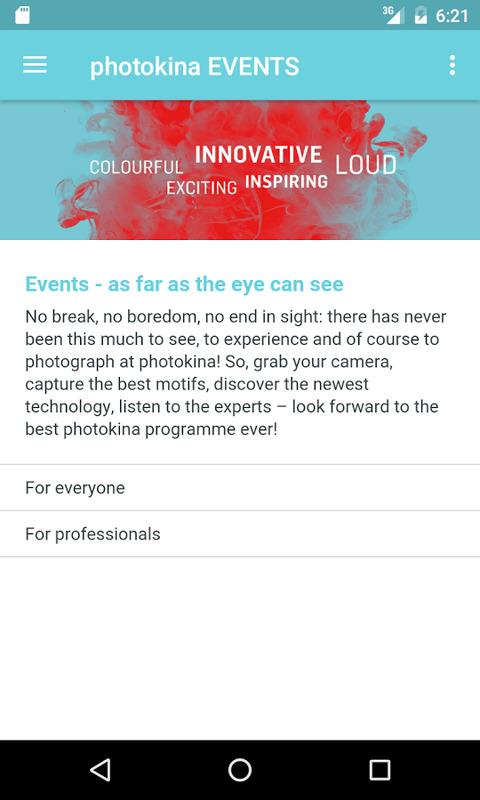 The Mobile Guide for photokina is the interactive event guide for the event from 20th September to 25th September 2016. 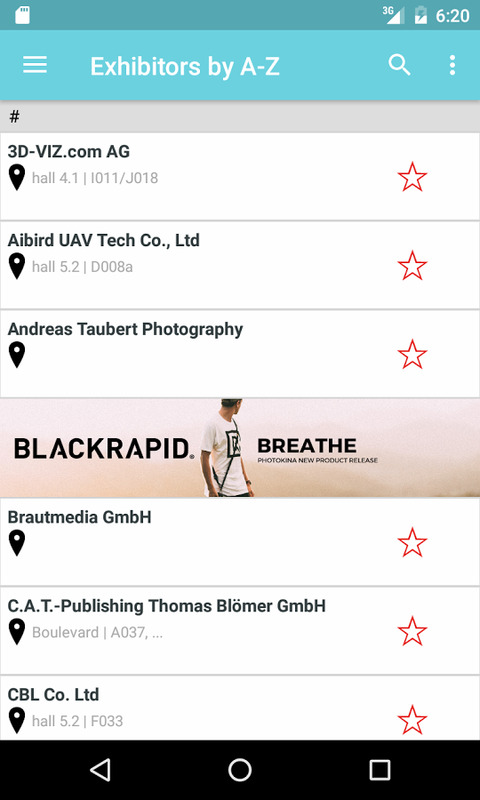 The app offers a detailed exhibitor and product directory as well as a floor plan with all exhibitors' stands. 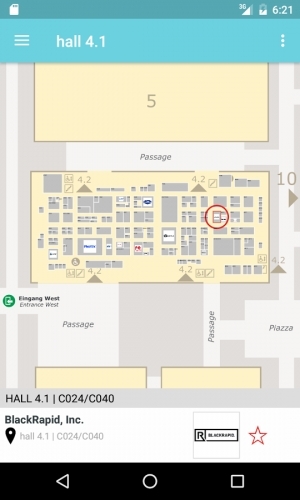 Find information about the program or for arrival and departure, as well as accommodation in Cologne. Find exhibitors by name, country and product groups and plan your visits with favourites, contacts, appointments and notes. 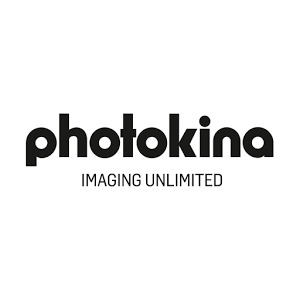 Get information about the program of the photokina. 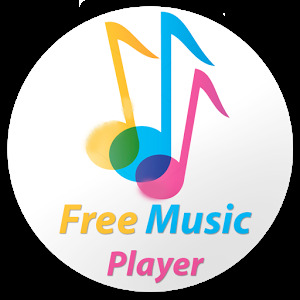 Keep track of interesting program dates with favourites to program dates. 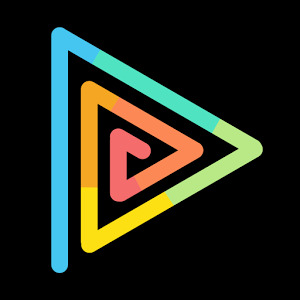 Get notification for short-term program changes and other short-term organizational changes directly to your device. 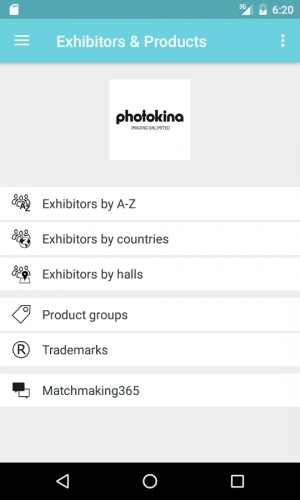 Matchmaking365 provides visitors to ask questions to exhibitors and to contact and dialogue with potential business partners before and after photokina. 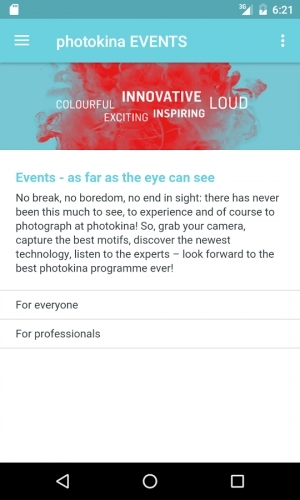 The Mobile Guide requires appropriate permissions for "Add to address book" and "Add to Calendar" and will ask for that first time you use these functions. 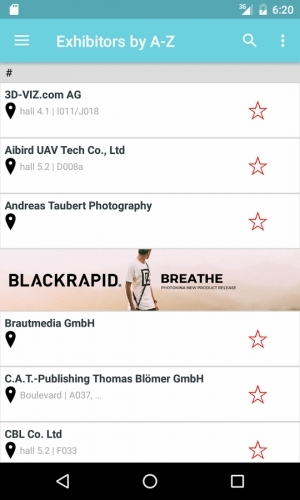 Contact data and appointments are stored at any time only local on your device. 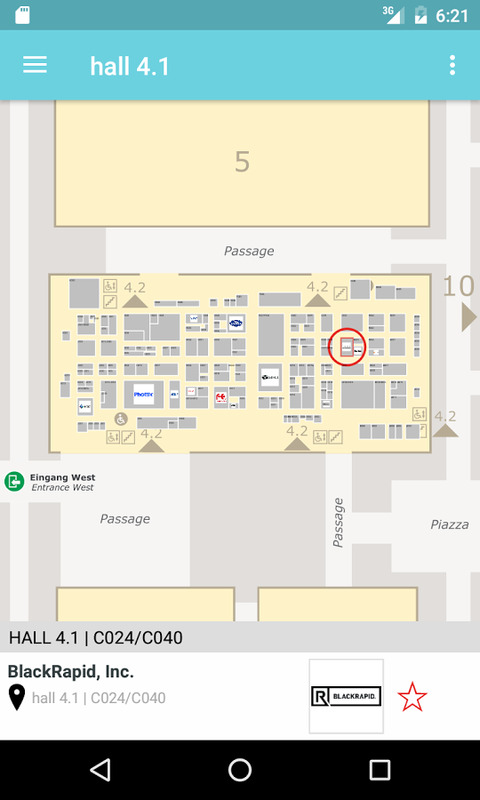 A new Mobile Guide is available now and is full up to date with current exhibitor and program details. We appreciate your suggestions. Use [email protected] for your support requests.